Though an Arizona native, Jackson Hole has been a part of Brent Hodge’s life since the 70’s. He grew up visiting his grandfather who built a rustic log cabin along the Upper Hoback. He earned his Master’s in Educational Leadership from Northern Arizona University as well as a post baccalaureate teacher certification from Ottawa University. 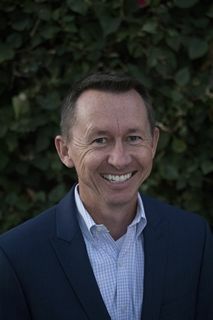 In addition to his educational background, Brent holds a Bachelor’s of Accountancy from the University of San Diego and completed the College of Financial Planning program through the University of Phoenix. Brent currently serves as Superintendent of an 800-student private K-12 Christian school in Phoenix. Brent and his son, TJ, continue to visit his grandfather’s cabin to this day, as both love the outdoors and the opportunity to spend more time in Jackson. Kevin Roberts, Ph.D., has twenty years of experience as a teacher, professor, headmaster, and college president, and has been involved in a number of education reform initiatives around the country. After earning his Ph.D. in American history from The University of Texas, Roberts served as a history professor in New Mexico before starting his own K-12 classical school, John Paul the Great Academy, in his hometown of Lafayette, Louisiana. Prior to accepting his current position as Executive Vice President of the Texas Public Policy Foundation in Austin, Texas, Roberts served as president of Wyoming Catholic College. As a former school founder and leader, and a scholar of the Constitution, the history of American education, and school reform, Roberts looks forward to applying his experience and insight to Jackson Hole Classical Academy. Roberts and his wife, Michelle, have four children, one bird-hunting dog, and a lifelong addiction to fishing. ﻿Steve works to advance the ideals of liberty and limited government at the Lynn and Foster Friess Family Foundation. Steve is an active participant in the national policy battle for education reform. Together with his wife, Polly, he founded Jackson Hole Classical Academy, modeled upon the public charter schools developed by Great Hearts Academies of Arizona and Texas. Steve was an Echols Scholar at the University of Virginia and received a Master’s degree from the University of Southern California. Steve and Polly are active in the growth and development of their beloved community, Jackson Hole. They have four children, Cotter, Ginger, Thatcher, and Sarah. Jennifer grew up in northern Montana on a cattle ranch. She attended the University of Arizona and graduated with a BA in Communications from the University of Montana, where she met her husband Jon. She worked in insurance and real state lending in Billings, Montana for a number of years before moving to Jackson. Jennifer and Jon have three children all attending the Classical Academy, and she loves to spend her time with her family especially enjoying the outdoors. Mike received his MBA from the Kellogg School of Business at Northwestern University and a BS in Business at Miami University. He serves on the board of many technology companies and enjoys sharing his experience as an entrepreneur, father and CEO on his blog MikeSmerklo.com. Mike was the Co-Founder of a venture capital firm called Next Coast Ventures. He also ran a small technology services company, ServiceSource (SREV), and in 12 years took it from a small startup to a public company with over 3,000 employees around the world. Mike was named an Ernst & Young Entrepreneur of the Year Award Finalist in Northern California in 2010. In his spare time, he enjoys enjoys fishing, skiing, hiking and trying to keep up with his four active children.